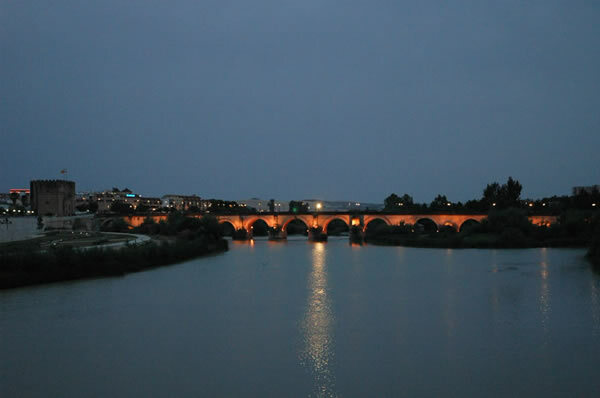 The bridge crossing the Guadalquivir, or Great River, was vital to communications during the Roman era and formed part of the Via Augustus. This photo is taken from the centre of the Miraflores Bridge. To the left is Miraflores park and the Calahorra tower.